Individuals who are diagnosed with multiple chronic conditions are often the most difficult for physicians to care for. The needs of certain patients with one condition can often interfere with the treatment of their other conditions. Due to the specialized nature of certain conditions, multiple doctors may need to be seen by patients, which adds another layer of difficulty for physicians to stay abreast of the different treatments being utilized. Guidelines for multiple chronic conditions must begin with the communication between physicians and with the patient in order to effectively provide the optimal approach in patient care. 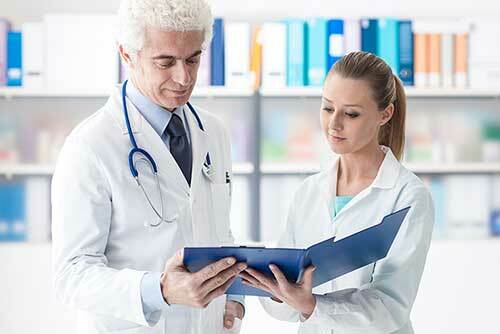 First, and foremost, all physicians must be kept abreast of a patient's medical conditions. While it is relatively safe to rely on patient-given information from those without multiple conditions, it is crucial that physicians who are treating a patient with multiple chronic conditions be in direct contact with the patient's other physicians. It is considered medical neglect to assume that a patient will have all of the necessary information about multiple conditions that s/he is suffering from. Communication between multiple physicians must be a priority in order to facilitate high-quality patient care in the context of medical decision making. It is imperative that all medications are known and understood before making any adjustments to a patient's care. Side-effects and reactions to multiple medications can cause a lowered quality of life or even life-threatening effects. Communication that keeps all patient's physicians abreast of changes, progress, and/or decline is imperative. Not only is communication necessary for the knowledge of a patient's multiple chronic conditions, but collaborative care must be utilized. With multiple chronic conditions, it is common that the best option for treatment will not be clear. It will take the dedication of an interdisciplinary team to evaluate chronic disease care. With multiple chronic conditions, there will be uncertainties of illness and treatment; it is how the team responds that will either benefit, or harm, the patient. Management of a patient's multiple chronic conditions must be frequently re-visited by an interdisciplinary team in order to provide appropriate treatment that adjusts to the patient as his/her individual response varies. Another focus of multiple chronic conditions is keeping the patient's goals in perspective. As physicians, we are here to help, and our goals often overlook the patient's goals. While one patient may want to try anything and everything, another patient may simply want to focus on quality of life. There is a dynamic interplay between the provider's guidance and the patient's values and preferences. Great research will support the mind-over-body connection. If a patient is not comfortable (either physically or emotionally) with his/her care, this negative response can play a huge role in how treatment is actually carried out and manifested. Physicians are qualified and required by oath to provide evidence-based information about options that will medically benefit the patient. However, a patient is a living, breathing human being that must be treated as a person first, patient second. Keeping the patient's goals in perspective means that physicians must supply sensitive care in all situations regarding multiple chronic conditions. Both patient and physicians must keep realistic expectations throughout any treatment process in order to help the patient achieve the quality of life that he/she is comfortable with. If communication fails at this point, the physician will not be able to deliver the best appropriate treatment for the patient; and the patient will not feel comfortable with the physician. This breakdown of crucial decision communication can have dire results. Treating a patient with multiple chronic conditions can be the most difficult situation that a physician finds him/herself in. In keeping the patient's health and quality of life in perspective and as a priority, the results that an individual physician desires may not be the true outcome. Working with an interdisciplinary team provides crucial information regarding treatments and outcomes that will allow for a well-rounded perspective to be gained from all involved. Your patient is not just a patient. Your patient is a person with feelings – physical, emotional, and mental feelings – that will affect not only the person, but also how he/she responds to treatment. Multiple chronic conditions guidelines must focus on the benefits of patient health, in all areas. Chronic multiple conditions will cause diminishing effects on a person's quality of life over time. Management of the conditions through an interdisciplinary team that provides excellence in care, pain management, and that supports the patient's individual goals is essential.